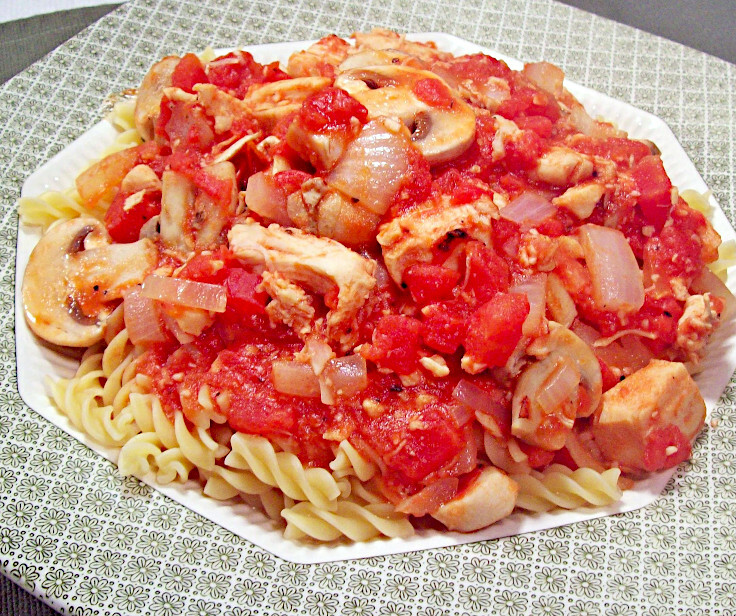 Chicken breast cubed and browned then smothered in mushrooms and tomatoes served over pasta. Cut chicken breast into cubes. 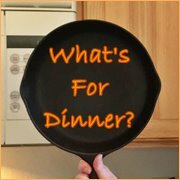 Sauté in oil on medium heat until cooked through. Add undrained tomatoes. Turn burner to low and cover. 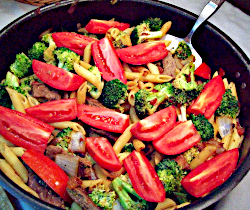 Add rotini pasta to boiling water and continue cooking on high heat. Stir occasionally. When rotini has cooked about 8 minutes, check for doneness by biting into a cooled piece. If no white strip appears in the center, the pasta is done. Drain and rinse. Pour mushrooms and tomatoes over the top and serve.